Geneva-based UN Watch releases new report finding UN agencies, officials and experts are failing to act against violence against Jews. UN agencies, officials and experts tasked with combating racism are failing to act against hatred, incitement and violence against Jews, finds a major new report released on Monday by the Geneva-based watchdog UN Watch. The group examined a decade of UN actions from 2008 through 2017. The 40-page report, entitled “The United Nations and Antisemitism: 2008-2017 Report Card,” was presented in the Knesset in Jerusalem, at a hearing chaired by Yesh Atid chairman MK Yair Lapid. 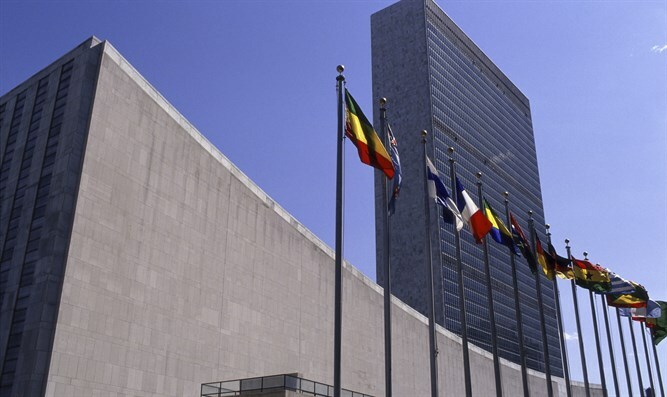 “Our report’s findings are disturbing and clear: Key UN agencies, officials and experts are, with limited exceptions, turning a blind eye to escalating antisemitism worldwide,” said Hillel Neuer, director of UN Watch. Notably, UN Watch’s findings were corroborated last week by the UN itself. Speaking at a Geneva meeting, Dr. Ahmed Shaheed, UN Special Rapporteur on Freedom of Religion, acknowledged the “scandalous lack of attention” paid by the UN human rights system to antisemitism. The report notes that Guterres, like his predecessors Ban Ki-moon and Kofi Annan, has made a series of positive statements about combating antisemitism. It also notes that the UN General Assembly hosted an informal meeting on anti-Semitism in 2015, that the UN’s Holocaust Outreach Program commemorates and teaches about the Holocaust and that UNESCO, the UN’s cultural agency, recently released a publication with the OSCE aimed at assisting policymakers in addressing anti-Semitism through education. “Yet in the face of murderous physical attacks against Jews, such as the shooting at a Toulouse Jewish school, Pillay was typically silent. Worse, Pillay and her office repeatedly smeared Jewish organizations as ‘single-issue lobbyists’ for seeking to prevent anti-Semitism from infecting the UN’s 2009 Durban II conference on racism,” said UN Watch. “The UN Human Rights Council’s Special Rapporteurs on racism and freedom of religion ought to be the first UN experts to speak out against anti-Jewish discrimination and violence. However, as a rule, successive mandate-holders over the past decade have failed to comment on rising antisemitism, including the murderous incitement against Jews in the Arab and Muslim world, or deadly attacks in Europe and elsewhere. By contrast, they did speak out on behalf of other targeted groups,” continued UN Watch. Expert bodies like the UN Human Rights Committee and the Committee on the Elimination of Racial Discrimination (CERD), which review country compliance with international treaties, should be affirmatively monitoring state parties for any anti-Semitic incitement or violence which puts Jews at risk, or infringes their rights to freely practice the Jewish religion, noted the watchdog. “Yet an examination of the Human Rights Committee’s concluding observations for numerous state parties—including Arab and Muslim states where anti-Semitic incitement is rampant, as well as other states that have witnessed high levels of anti-Semitic incidents in the last ten years—reveals that antisemitism is of limited concern,” it said. Moreover, said UN Watch, despite the fact that anti-Semitic incitement from the Arab and Muslim world has inspired attacks worldwide, the CERD addressed hate speech in these countries only when the speech was directed at other groups—but never when the target was Jews.